Growing up in a large family in Laurel, Mississippi, Kimberly became an avid sports fan by emulating everything her brothers did, including their love for sports. Her brothers encouraged her to watch every sport known to man and to pick a favorite team for each sport. They told her to choose wisely and to stick with her teams through the good and the bad. Her faithful picks (The Dallas Cowboys, The Philadelphia 76ers, and The New York Yankees, just to name a few) remain the same until this day. Kimberly also enjoyed playing basketball and intramural football, running track, and dancing with the football dance squad in high school. From this intense passion for sports, Kimberly created Even The SCORE, LLC. Her goal was to design relaxing, social, sports-oriented mixers and parties, where women could learn about sports and ask questions at their own pace without feeling estranged or out of place. Even The Score hosts events with Maryland Park and Recreational centers, Grand Slam Sports Bar and Grill, Wild Wingery Sports Bar and Grill, and My Place Sports Bar and Grill. Additionally, Even The SCORE serves as a vendor for The Washington Nationals' and The Washington Mystics' Ladies Night Out events. 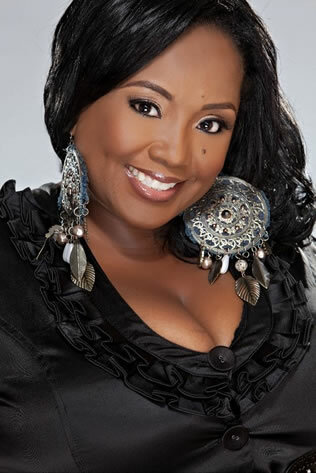 In addition to her work with Even The SCORE, Kimberly served as an organizer for the First Annual Gospel Fest for the Washington Nationals, and as coordinator for Ebenezer AME Church's Hurricane Katrina Relief Effort, which earned her an award from former Washington, DC Mayor Anthony Williams. She also founded IN-HOUSE-CONNECTIONS, a nonprofit that serves underserved single mothers in the Washington, DC metropolitan area. Kimberly is also a member of Alpha Kappa Alpha Sorority, Inc. (AKA), Women In Sports and Events (WISE), Association for Women in Sports Media (AWSM), and the Washington, DC chapter of the National Association for the Advancement of Colored People (NAACP).